If you want to add space to your home, you've got two main choices — an extension or a conservatory. In this post, we'll tell you. We'll go through the pricing, process and purpose of each one to solve the conservatory vs extension debate once and for all. Conservatory vs Extension: Which One Should You Choose? Looking to extend your home? Here are 5 reasons why a conservatory should be your top choice. A conservatory project is much easier to deal with than building an entire extension. This is because you generally don't need planning permission (there are some restrictions however). With less red tape and fewer hoops to jump through, you can take complete control and have your new construction complete as quickly as possible. 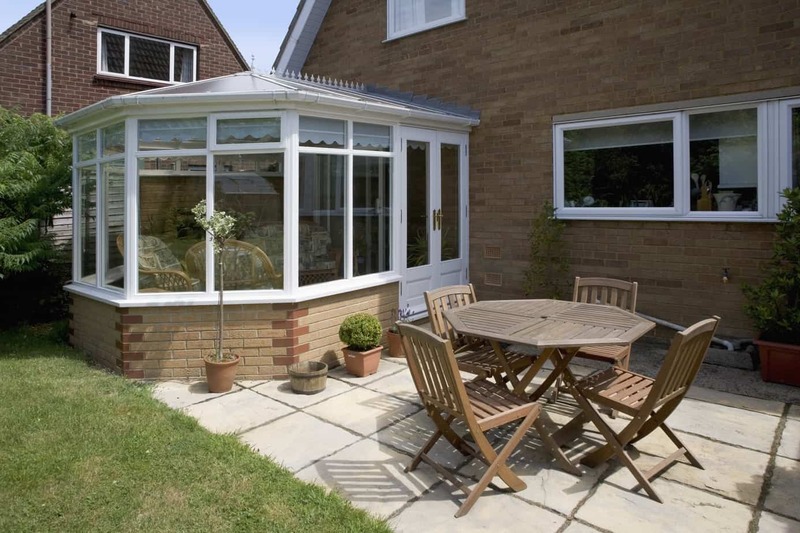 Without a doubt, a conservatory is the most aesthetically pleasing way to add space to your home. Since they use multiple panels of glass, they add a more interesting look than a brick-and-mortar extension. They also allow much more natural light into your home. This way, you'll have a light, airy living space, which allows you to enjoy the outdoors no matter what the weather's like. In the summer months, you can open the doors to create a more open space. In the winter, you can snuggle up with some pillows in a winter garden, enjoying the feeling of the outdoors and the comforts of home at the same time. A conservatory is one of the best ways to add value to your home. If you're ever looking to sell, you'll find that you're able to set a much higher asking price. You're also likely to make a quicker sale, too. With a feature like this, prospective buyers will want to snap up your property immediately. Extensions are great, but they can be expensive. With a conservatory, you get more bang for your buck. This is because they require much fewer materials to build. If you go for an extension, you're likely to pay a flat fee per square meter. However, the price of a conservatory depends on the size, type and quality of the project. This means you have much more freedom and flexibility with your budget. One of the best things about conservatories is how versatile they are. They're perfect for dining, entertaining guests, or creating play areas for children. You can also use them to create your own little sanctuary, filling them with books, art, plants, pillows, or anything else that helps you relax. In the battle of conservatory vs extension, there are many factors to consider. At Weathermaster Kerry, we can design and install one just for you. With over two decades of experience in the field, our team of experts can upgrade your living space and bring your dream project to life.